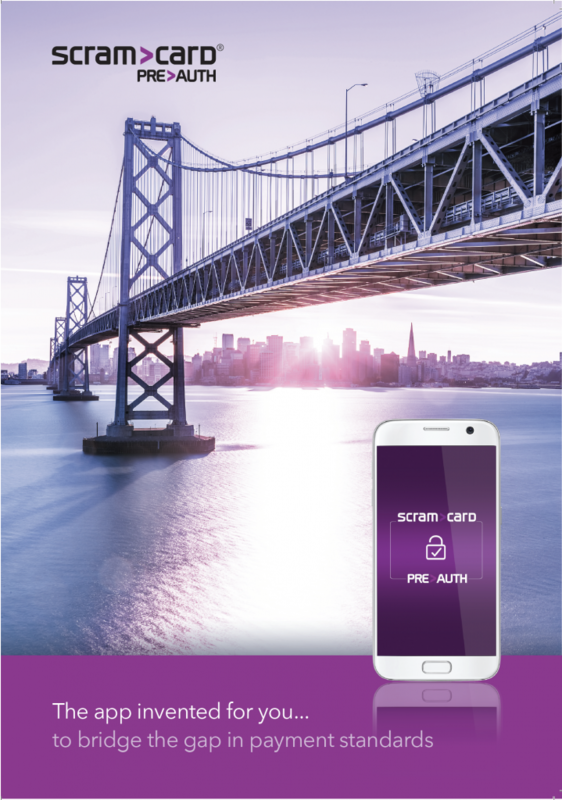 ScramCard PRE>AUTH is an application (app) that provides a bridge between magnetic stripe based payments and the introduction of EMV based chip and PIN. The app ensures that regardless of the transaction type, the user will always have to use their PIN, or a dynamic ScramCard PIN, to authenticate the payment, regardless of whether the merchant has updated their sales infrastructure or not. In addition, the app can be used by consumers looking for peace-of-mind who may have not been given such by a forced introduction to only EMV chip and signature. …without a need to issue replacement chip cards or update merchant hardware.